2.Body fat, muscle, body fluid ratio, etc. Physical Examination(including head and neck, respiratory system, cardiovascular system, digestive system, nervous system, musculoskeletal and skin) ★ ★ ★ ★ ★ General physical analysis.To detect signs of disease, and anatomical abnormalities. A numerical computation regarding height and weight. ★ ★ ★ ★ ★ Check fundus, eyelids, conjunctiva, cornea, and pupils. ★ ★ ★ ★ ★ Check visual acuity, color blindness, and eyeball pressure. ★ ★ ★ ★ ★ Check external ear, ear canal, eardrum, nasal cavity nasal septum, tonsil, pharynx, and larynx. Check for infection, tumor, deviated nasal septum, and nasal polyp, etc. ★ ★ ★ ★ Check for nasopharyngeal and laryngeal tumor. ※Chest x-ray and lateral view of chest x-ray are not sensitive to lesions in some areas and small lesions in lung. Low dose CT examination could increase the sensitivity of lung cancer detection. ★ ★ ★ ★ ★ Pulmonary TB, pneumonia, pleural effusion, bronchiectasis, emphysema, cardiomegaly, lung tumor. ★ ★ ★ ★ ★ An auxiliary examinaiton to the ordinary chest x-ray. Lung function,vital capacity, pulmonary ventilation volume, expiratory flow rate, obstructive pulmonary diseases, and restrictive pulmonary diseases. ★ ★ ★ ★ ★ The estimated age of your lung based on the pulmonary function tests to show how aging, chronic diseases, and smoking affect the lung, is used for 25~99 years old. △ △ △ △ △ Check for presence of uterine, ovarian and adnexal abnormalities. △ Evaluate cervicitis, cervical erosion, and cervical cancer. △ △ △ △ Use a specially designed brush and a special preservative solution to collect more samples, which increases the accuracy of cervical cancer detection. An exam for HPV will assess risk for cervical cancer.Over 10 types of HPVs can be detected. HPV test and Liqui PREP Pap smear together increase the accuracy of evaluating cervical cancer. Palpate breast tissue to detect and define breast masses. (1)To evaluate if there is tumor, cyst, fibroadenoma, etc. (2)To evaluate any early pathological changes cannot be detected by palpation. ▲ ▲ ▲ ▲ ▲ Evaluate tumor of external genitalia and prostate, and benign prostatic hypertrophy. TRUS is used to measure the prostate gland and has been used as a screening modality for proataste tumor. (1) Acute orchitis, testicular torsion, testicular tumor, etc. (4) Varicocele, seminal vesicle syst, corditis, etc. To assess atherosclerotic disease risk. 10-year coronary heart disease risk assessment,is used for 35~74 years old. Diseases and structural abnormalities of liver, gallbladder, kidneys, pancreas and spleen. Screening test for colon cancer. ★ ★ ★ ★ ★ Check for disease of liver and biliary tract, hepatitis, abnormal liver function, liver cirrhosis, etc. 1. HBsAg ★ ★ ★ ★ ★ 1. Hepatitis B (HBV) carrier status. ★ ★ ★ ★ ★ 2. Immunity to HBV. ★ ★ ★ ★ ★ 3.Hepatitis C carrier status. Vitamin D ★ ★ ★ ★ ★ To evaluate the lack of vitamin D.
Zinc ★ ★ ★ To evaluate the lack of zinc. A survey for diabetes mellitus and hypoglycemia. ★ ★ ★ ★ ★ To show the average level of blood sugar over the previous 3 months. Evalutate the L-spine structure and disease. Evaluate the bony struture and soft tissue of abdomen. To evaluate the bone mineral density over the lumbar spine and femoral neck. P.S. BMD scan may not be needed every year. For female, the other option is Cardiovascular Screening Device; for male is Blood Test of Brain Natriuretic Peptide (BNP). CTx test is a blood test measures the amount of degraded bone product circulating in the bloodstream. The result is usually associated with BMD scan result to evaluate bone density. ※Tumor markers may be used to help detect cancer. However, in order to confirm the diagnosis, other examination is necessary such as endoscopy, sonography, MRI, CT, PET, etc; Abnormal tumor marker level could occur in non-neoplastic diseases. ★ ★ ★ ★ ★ Liver tumor, reproductive organ tumor. ★ ★ ★ ★ ★ Digestive system tumors, lung cancer, etc. ▲ ▲ ▲ ▲ ▲ Prostate tumor. △ △ △ △ △ Ovarian tumor and other female reproductive system tumor. △ △ △ △ △ Breast tumor. ▲ ★ ★ ★ ★ Nasopharyngeal cancer. ★ ★ ★ ★ ★ Pancreatic tumor and intra- abdominal organ tumors. ★ ★ ★ ★ ★ Cervical and lung cancer, head and neck tumor, etc. Cytokeratin Fragment 21-1 ★ ★ ★ Evaluatation of non-small cell lung cancer. ★ ★ ★ ★ ★ Evaluation of renal funtion. Creatinine-Serum ★ ★ ★ ★ ★ To evaluate renal function, and to detect renal failure, uremia, etc. ★ ★ ★ ★ ★ To detect hyperuricemia. ★ ★ ★ ★ ★ To detect early signs of kidney damage. (4) Hematuria, urinary tract stone, etc. Anemia(iron-deficiciency, thalassemia), coagulation functions, leukemia, other blood diseases, and bacterial infection. Iron deficiency anemia, iron storage diseases, chronic illness, chronic inflammation, etc. 1. (Na+) Sodium ★ ★ ★ ★ ★ Electrolytes abnormalities. Evaluation of personal mental health status. This check item is designed for Taiwanese only. The health consultant will provide alternative item for foreigners. To evaluate the autonomic nervous system, organ dysfunction and aging of your body. Medical Consultation Explanation of Data ★ ★ ★ ★ ★ A certified Internist or Family Physician will analyze the data and advise accordingly. Diet Consulting ★ ★ ★ ★ ★ Diet advice by a Nutritionist. Esophagitis, gastritis, duodenitis, or polyp, ulcer, tumor of the upper GI tract. The test uses gas-making crystals, barium contrast material, and fluoroscopy to check the structure of esophagus, stomach, and duodenum. Hemorrhoids, polyp, tumor, ulcer, colitis, diverticulum. To evaluate the patency of carotid artery and risk for cerebrovascular disease. The low dose lung CT scan is a noninvasive medical examination to detect small lesions in lung, which helps to screening the lung caner at an early stage. Coronary Calcium Scoring An non-invasive method that snaps three-dimensional pictures of the coronaries and reveals how much calcium lines a person"s arteries. The higher one"s score, the more calcium there is and the more diseased the artery. Contrast injection is not required. To evaluate the heart size, valvular abnormalities , congenital heart defects, myocardial infarction, tumor, etc. ★ To evaluate the heart size, valvular abnormalities , congenital heart defects, myocardial infarction, tumor, etc. ★ To evaluate the patency of carotid artery and risk for cerebrovascular disease. Exercise EKG ▲ To evaluate coronary arterial disease or ischemia during exercise. Low Dose Lung CT Scan Choose One from These Two The low dose lung CT scan is a noninvasive medical examination to detect small lesions in lung, which helps to screening the lung caner at an early stage. An non-invasive method that snaps three-dimensional pictures of the coronaries and reveals how much calcium lines a person"s arteries. The higher one"s score, the more calcium there is and the more diseased the artery. Contrast injection is not required. Gastroscopy under anesthesia ★ Esophagitis, gastritis, duodenitis, or polyp, ulcer, tumor of the upper GI tract. Colonoscopy under anesthesia Hemorrhoids, polyp, tumor, ulcer, colitis, diverticulum. Echocardiography ★ To evaluate the heart size, valvular abnormalities , congenital heart defects, myocardial infarction, tumor, etc. Carotid Ultrasound ★ To evaluate the patency of carotid artery and risk for cerebrovascular disease. Food Allergy Profile (224 items) ★ To evaluate the immune reactions with some environment factors and foods. The overt immunity may related with skin rash or eczema or dermatitis、asthma、allergan rhinitis、fatigue、 dizziness、headache、edema、attention disorder and irritable bowel disorder. Comprehensive Hormone Profile ★ Evaluation for hormone replacement therapy. Colonoscopy under anesthesia ★ Hemorrhoids, polyp, tumor, ulcer, colitis, diverticulum. Exercise EKG ★ To evaluate coronary arterial disease or ischemia during exercise. Low Dose Lung CT Scan ★ The low dose lung CT scan is a noninvasive medical examination to detect small lesions in lung, which helps to screening the lung caner at an early stage. Coronary Calcium Scoring ★ An non-invasive method that snaps three-dimensional pictures of the coronaries and reveals how much calcium lines a person"s arteries. The higher one"s score, the more calcium there is and the more diseased the artery. Contrast injection is not required. Tumor Cancer MRI ★ Includes MRI examination for eight major areas: head, neck, chest, upper abdominal, pelvic cavity, cervical vertebra, thoracic vertebra, and lumbar vertebra (one scanned image per 0.5-1.0 centimeter). 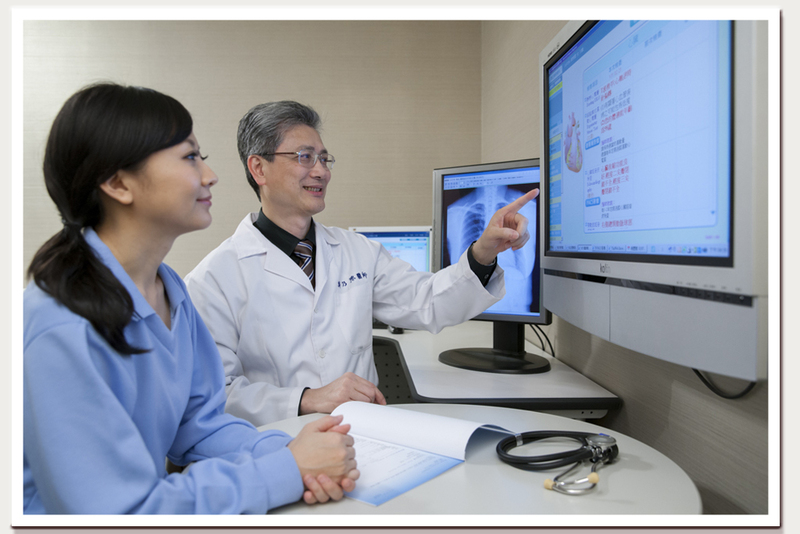 Value-added services：Lianan Health Management Center provides medical referrals, assistance, advisory reports, daily nutrition advisory, and other advisory services. Value-added services：For Choose New C or D Package customers, We provide meal replacement for low-residue diet, to provide you with the most appropriate Colonoscopy preparation.